Deacon Brian Evans and Scott McGibbon. 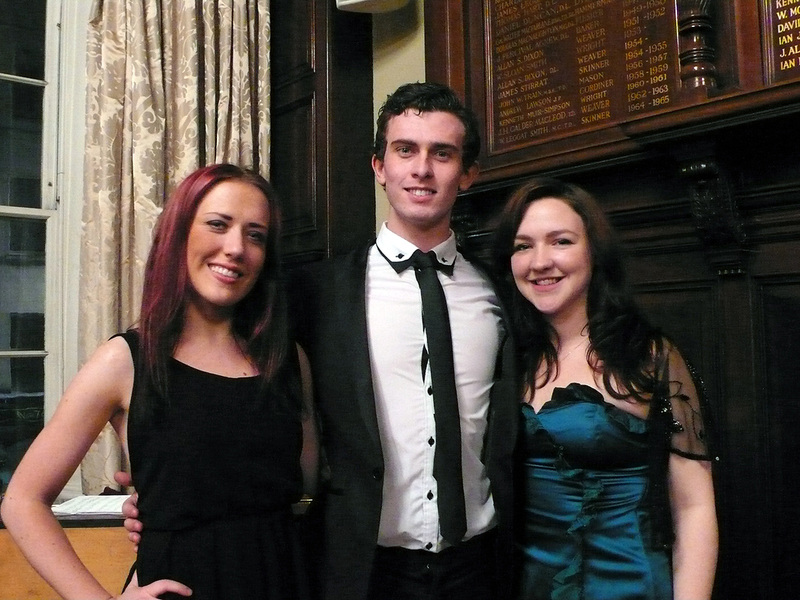 The Candlemas Court took place in the salon of the Trades Hall and was well attended. It took place prior to the social evening where the merry Masons had the opportunity to enjoy the company of guests and friends. 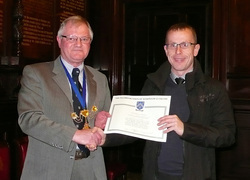 At the end of the Candlemas Court, Scott McGibbon, who is a stonemason lecturer at City of Glasgow College was welcomed as a member of the Incorporation and presented with his membership of the Incorporation of Masons Certificate. After the meeting Scott was introduced to the Master Court and other members present. This short ceremony has been revived this year after many years of it not being carried out. The Candlemas Social Evening was well attended by members of the Incorporation, their guests and the Chain Gang. Deacon Convener John Kelly MBE and his wife Alison were also able to attend as were the Collector of the House Reverand Idris Jones and his wife Alison. 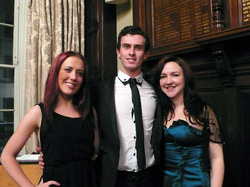 The entertainment was provided by a young trio called Opera Breva who studied together at the Glasgow Conservatoire. The gathering enjoyed a wide range of songs and were most impressed by the trio. Victoria has completed her Master's degree whilst Beth and Brian have another year's study before completing their degree. Anyone wishing to hire this tremendous trio should contact them at 07411709378. The group performed twice in the evening with a short interval between performances. A wonderful purvey was provided and even the Deacon Convener had to comment on the super steak pie. Thanks must go to Collector Ken McLachlan for arranging such a great evening.